April is National Car Care Month! An important topic of discussion in the care of your vehicle is the cleaning of the interior and exterior. A regular car wash protects the body of the car from a variety of environmental elements and other material, such as splattering bugs, bird droppings, and dirt. If the automobile goes without a wash for months on end, these materials could build up on the car’s surface and damage the paint. Just as the exterior of the vehicle needs regular care, the interior of the car requires routine attention, as well. You may already perform an entire wash and wax service on your car, but are you using the correct car care products? Furthermore, are you using the proper washing technique to avoid swirl marks and scratches? Not only does this article include instructions on how to clean the body of your vehicle, it also contains tips on how to get your wheels, grill, and headlights spotless. As the seasons have just changed, it is just that more important to hand wash your vehicle to remove salt, grime, and elements of the road associated with the winter. Not washing the car properly can create swirl marks and scratches. In addition, not using the proper materials can damage the vehicle’s exterior, causing you to invest more time, energy, and money. It is recommended that you clean your wheels and tires, first. If you wash and rinse your car first, then the water must sit on the car’s surface as you clean four tires. While you are cleaning the tires, water spots could accumulate where you just washed. These spots are not very appealing, so it creates more work for you. Another reason for washing the wheels and tires before the body of the car is in case of splashes. Clean each tire one at a time. Wash, rinse, dry, and move on to the next one. This process will prevent clean tires from air-drying before you have time to get back around to them. Designate one towel for drying your wheels and tires and another for the body of the car. Use the proper cleaners for the job. Use a cleaner designed specifically for the type of wheels that you have. There are cleaners on the market that work for both wheels and tires to remove brake dust, dirt, and grime. If there are a lot of impurities built up on the surface, consider using a stronger cleaner. Get the right scrubbing brushes. For the wheels, use a brush with feathered bristles that will not scratch the surface. You may also want to look for a long, slender brush for the inner areas of the wheels, such as behind the spokes. Since the tires are made of rubber, use a stiff brush. Polish your wheels. Waxing your wheels helps create a barrier against dust, dirt, grime, and other elements. Upkeep will be much easier. The next time that your wheels need cleaning, a quick rinse may suffice. Now that your tires and wheels are clean, let’s take a look at the proper technique and materials needed to wash the body of your car. Park the vehicle in the the shade. Do not wash in direct sunlight. Heat speeds up the drying process, which creates a risk for water spots. This will also help keep the cleaning solution from drying on the car’s surface before you have time to rinse it off. Rinse the car to remove loose dirt. The first step in the washing of your car is a pre-rinse to remove any dirt that may be laying on the car’s surface. This will save you time in the long-run. Use two buckets, one for the cleaning solution and the other for clean water. The purpose of using two buckets is so that you can rinse out and remove dirt from your washing mitt or sponge before filling it with soap again. Do not use dish detergents or hand soap, as these are not made specifically for use on car paint. Grit guards can be inserted into the bottom of each bucket to help keep clean water at the top and dirt at the bottom. Start at the top, and work your way down. The dirtiest parts of the car are typically those found towards the bottom. If you work bottom to top, you would be moving that dirt and grime onto your car’s surface. Do not move the sponge or mitt in circles, but wash in lines, instead. Rinse, and dry the car. Rinse frequently, if working in hot weather, to avoid water spots. Use microfiber towels to dry the surface of the vehicle. Do not forget to wipe down door jambs, as well as trunk and hood jambs. Once one towel is saturated, grab another. Feel the surface, consider using a clay bar if needed. A clay bar removes contaminants from a car’s surface that washing cannot. Therefore, if the surface feels rough to the touch, consider using a clay bar to extract the embedded material. Check out this video from Chemical Guys on How to Properly Clay Bar Your Car. Wax your car. Not only does waxing add to the shine of the car, but it protects the paint. Wax adds a protective layer, so that you are not directly rubbing the paint when removing dirt. Headlights and Grills: To DIY or Not to DIY? 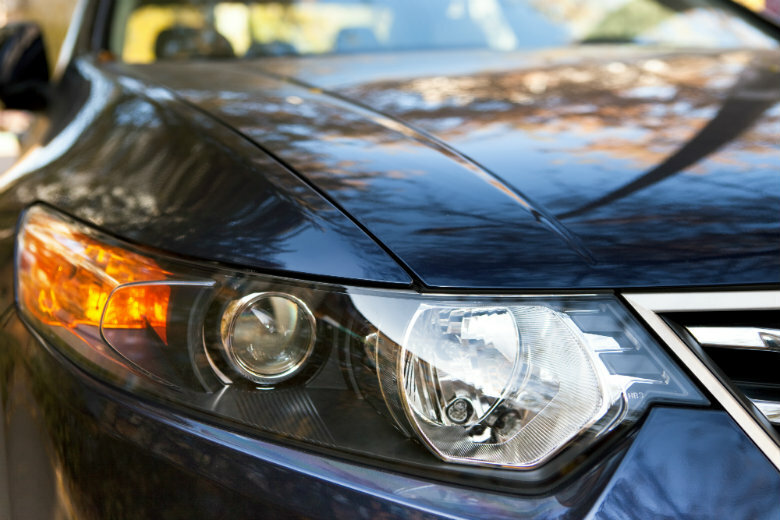 When you look at your car’s headlights, do they appear to be foggy, yellow, or hazy? Overtime, environmental factors, including the sun’s harsh rays, can dull that once shiny coat. Many individuals may assume that this is solely a cosmetic issue. However, having foggy headlights can contribute to diminished light production. Dim lights can present a hazard for driving in a variety of conditions, such as at night or in stormy weather. There are many options for fixing a headlight problem. When you search the internet for “how to fix a foggy headlight”, you will come across many DIY remedies. Just like many home remedies, some people found success, while others did not. Even when individuals found success, sometimes it was short-lived, meaning the problem came back up again in a month or so. Toothpaste – Use a dry cloth or a toothbrush to apply a nickel-size amount of whitening toothpaste to the headlight. Let sit for 15 minutes. Rinse, and wipe off. Homemade paste solution – Make a paste from baking soda and water/vinegar. Apply to the headlight. Let sit for a few minutes, and wipe off. Do not get any solution on your surrounding paint, as the baking soda could dull the paint. Sanding – In some cases, the best solution to get rid of the outer layer of haze is to sand and polish. The entire process can be lengthy, so check it out on FamilyHandyman. It lists step-by-step how to complete the process. Headlight restoration kits – If you would rather go to the store and purchase a headlight restoration kit, there are plenty on the market to choose from. The kit will only cost you $10 or so. If you would prefer to leave the work to the professionals, take your car to an auto shop. It may cost you more, but you won’t have to worry if the headlight DIY solution will treat your problem or not. Similar to how hazy headlights create a problem in terms of aesthetic appeal, bug-splattered car grills are not the most attractive. The longer bugs and other material sit on the car’s grill, the harder it will be to remove. As Summer begins to creep up on us, nights will begin to get warmer and bugs will become more prominent. Below, you will find a few solutions to your bug problem. Dryer sheets – Soak the dryer sheets in warm water, and wipe the bugs off. You can also soak the dryer sheets in water that is in a spray bottle. Then, spray on the solution. WD-40 – Spray on affected area. Let sit, and wipe off. Be careful not to spray directly on the car’s paint. Bug remover spray – There are numerous sprays on the market, just for getting bugs off the front of your vehicle. Choose the right one for you. Use it along with a bug sponge. With these solutions, hopefully, you will be bug-free in no time! Although a car’s interior is not exposed to the weather, the dashboard, steering wheel, and seats are still prone to cracking, peeling, and fading from the sun’s rays. Therefore, it is important to regularly care for your car’s interior. Different products are required depending on whether you have leather or fabric seats, so let’s see what it takes to clean each one. Vacuum the seats. No matter what kind of seats you have, you will want to remove the dirt and crumbs from between the seat cracks. If you do not own a car vacuum with attachments, go to a local car wash or gas station where you can find a coin-operated vacuum for use. A toothbrush can also be used to scrape out debris that is embedded in the crevices. Use a cleaning solution. Apply a homemade cleaning solution or a commercial cleaner. When using your own homemade solution for the first time, perform a spot test on a small area. For leather seats, do not use a cleaning solution with ammonia or bleach, as it may damage the leather. You can use a bristle brush to agitate the dirt, and wipe clean with a microfiber towel. For leather seats, apply a conditioner. A leather conditioner will help replenish the natural oils in the leather and prevent cracking and fading. After applying the conditioner, park the car in the shade for twelve hours so that the seats will not be exposed to UV light. To prevent stains, clean up messes as soon as they occur. It is recommended that you clean your seats once a month. A windshield sun shade can help protect not only your seats, but also your steering wheel and dashboard. The seats are not the only item in the car’s interior that needs routine cleaning. Below, you will find a few additional tips for the inside of your vehicle. Clean in and around all the nooks and crannies. Use a cloth to clean around the trimlines and radio buttons. You can use a paintbrush or foam brush to clean out the air vents. Get trash out from underneath the seats. Remove the floor mats, and shake them off. Move the seats up to remove trash and debris that could be hiding beneath them. Remove unnecessary items from the trunk. Take out any items that you do not need from your trunk. Not only will this make room for space when you need it, but it will save on gas mileage. Organize your belongings. There are multiple products that aid in car organization, such as visor organizers, dash caddies, trunk organizers, and seat organizers. By purchasing one of these products, you will keep items off of the floor. The purpose of National Car Care Month is to bring about awareness of the importance of vehicle maintenance. Cleaning your car’s interior and exterior may pale by comparison to other maintenance tasks. However, it is not to be overlooked. Avoiding regular cleanings can result in costly expenses due to the buildup of dirt, dust, and grime. 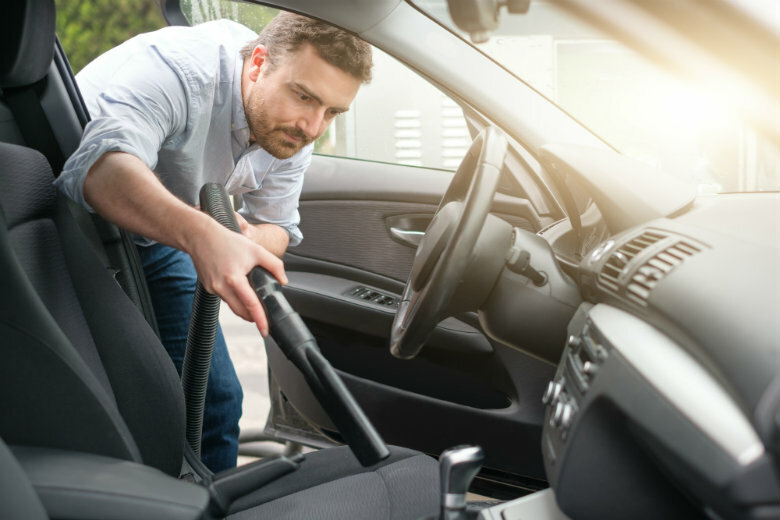 If you are considering transporting your vehicle, you will be putting these newly learned cleaning practices to good use. Cleaning your car’s interior and exterior is not only a good routine to get into, but it is crucial in the shipment of your car. 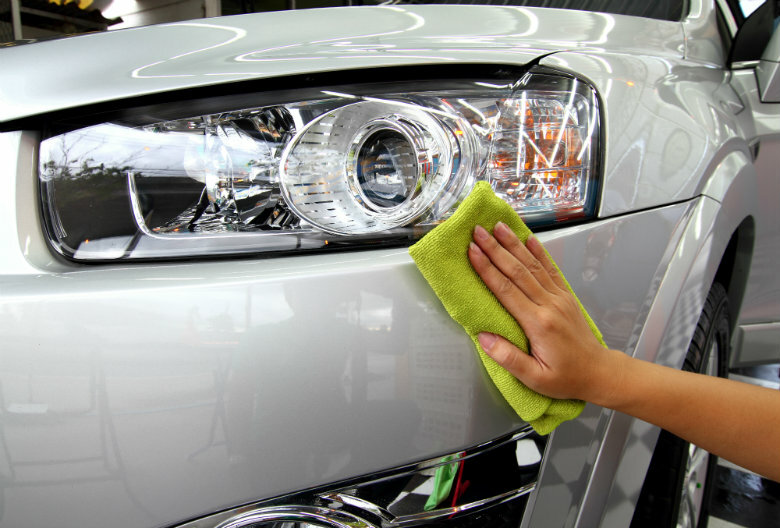 It is clear that cleaning your car is important for more than just aesthetic purposes. When shipping your vehicle, it also becomes a necessary step both before and after auto transport. Interior cleaning is crucial before shipping your vehicle. This is because the auto transport company cannot transport any of your personal belongings, so these possessions must be removed from the car. The exterior cleaning process may vary slightly depending on the type of auto transport service that you are using. There are two main types of services provided by National Dispatch, which are open auto transport and enclosed auto transport. For more information on preparing your car to be shipped, check out last month’s blog post, Preparing Your Car for Shipping in 10 Easy Steps. When using enclosed auto transport, the vehicle will be shipped in a trailer, unexposed to the outside elements. Since it will not be exposed to weather and natural elements of the road, it is reasonable to suggest washing the exterior before transport. If you do this, then the car will be ready for a drive around the new neighborhood upon delivery. In open auto transport, the vehicle is shipped on an open-air trailer. Therefore, it may pick up dirt, dust, and other natural elements of the road. You may want to give the car a quick wash before transport, but it is best to wait until after transport to perform a deep cleaning. National Dispatch is a leading provider in the auto transport industry. We provide quality service, ensuring that your car reaches its destination in a safe and timely manner. Go to our website at https://www.nationaldispatch.com/ for a free, instant car shipping quote. The vehicle shipping quote calculator requires no personal information, just four simple fields. You can also call us at 800-321-2051.